1 Granary does things their way, or not at all – and why shouldn't they? The biannual student-led magazine from Central Saint Martins has the school's whole 160-year history of art outsiders and fashion rebels to draw from (not forgetting its current intake of students), and they've only gone from strength to strength; since Issue One, their print run has leapt from 1,000 copies to a staggering 15,000. For the cover of Issue Two, the 1Granary team enlisted Fashion Print student Louisa Ballou to model ex-alumni Christopher Kane, with photography by Laurence Ellis and styling by magazine founder Olga Kuryshchuk. Shot on location in the fashion studios of the Saint Martins campus and modelled by current students, it's the definition of a CSM love-in – in the best possible way, of course. Check out our exclusive images from the shoot in the gallery above. "We felt we needed to put (Kane) in the magazine. It doesn't matter who you talk to, Rose, a technician who's been at the college for 20 years, or a former student working in his design studio now, everyone has nothing but good things to say about him," Kuryshchuk told us. "It's incredible what he's achieved, and he's done it without compromising himself as a creative – and let's be honest, of all the designers out there, he's one of the few still regarded as 'creative'. If you're a student here, you want to know that's possible." Was Kane a fan of what they'd done with his collection? "He was all over our Instagram sending love and flower emojis after the cover release," Kuryshchuk said. We bet he's not the only fan. 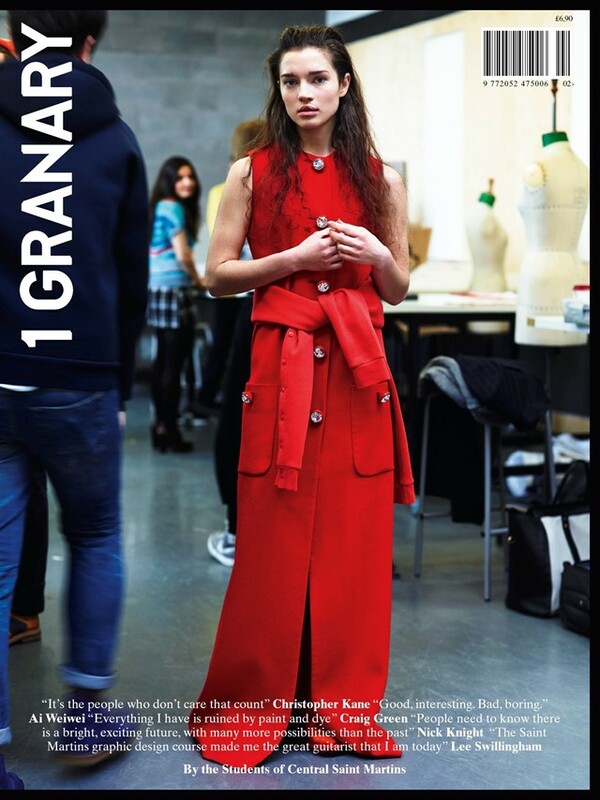 1 Granary is available to order from the magazine's site and can also be bought at various stockists across London, including Showstudio, Magma, Selfridges, Harrods, Artwords, Waterstones, Wardour News and Tate Modern.